The graceful movements of the famous Lipizzan stallions, or Lipizzaner stallions, are beautiful to behold. 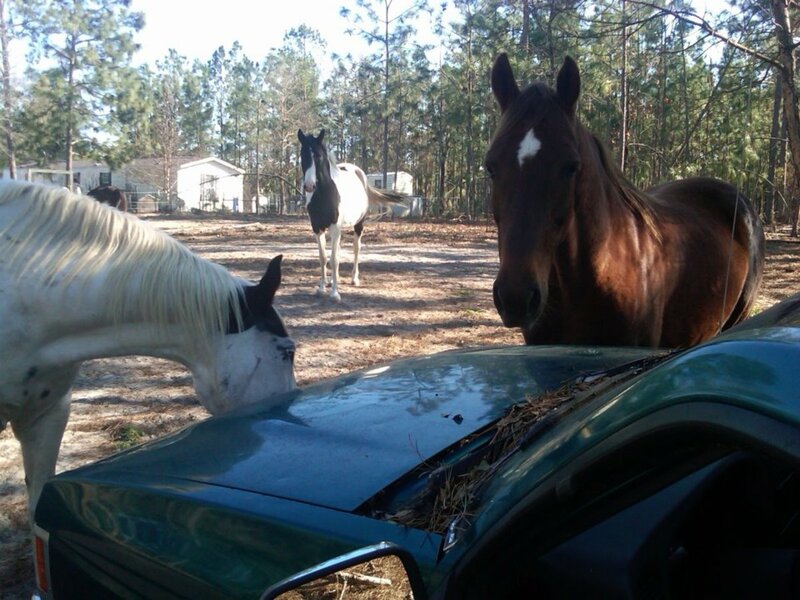 As a lifelong lover of horses, I had wanted to see these equines for years. Finally, two years ago, my wish came true. I got to see the Lipizzans, along with a couple of Freisians, perform in Atlanta. The Lipizzaner stallions were simply amazing! There’s really no other way to describe them. The intricate dressage movements they perform are almost unbelievable. They leap into the air with ease, as if they’re about to take flight, as they surely seem to be when performing the "airs above the ground" movement. Surely it was some distant ancestor of the Lipizzan that inspired the Greek’s Pegasus. 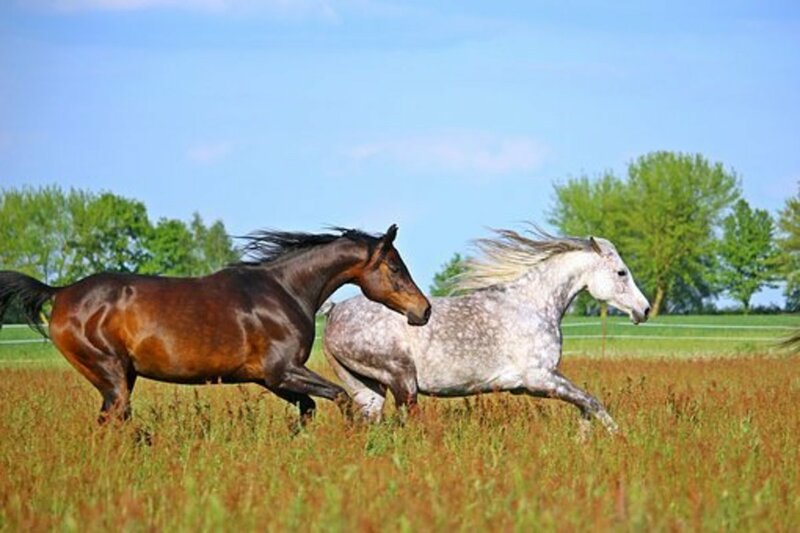 The horses prance; they balance on their hind legs; they hop on their back legs like kangaroos. After seeing the horses perform intricate ballet-like dressage movements, I wasn’t surprised to learn that each performing Lipizzan has had at least six long years of dressage training. As I sat there mesmerized, I kept wondering how a trainer gets a horse to do all that. I’ve had some experience training horses, but this totally boggled my mind! Six years of training seems like a long time, but once you see the performance for yourself, you’ll think that six years was little time to accomplish such magnificence in the art of dressage. The training, of course, is important, but it’s not the only integral part of the equation. These horses are the result of several hundred years of precise breeding, starting in the sixteenth century. 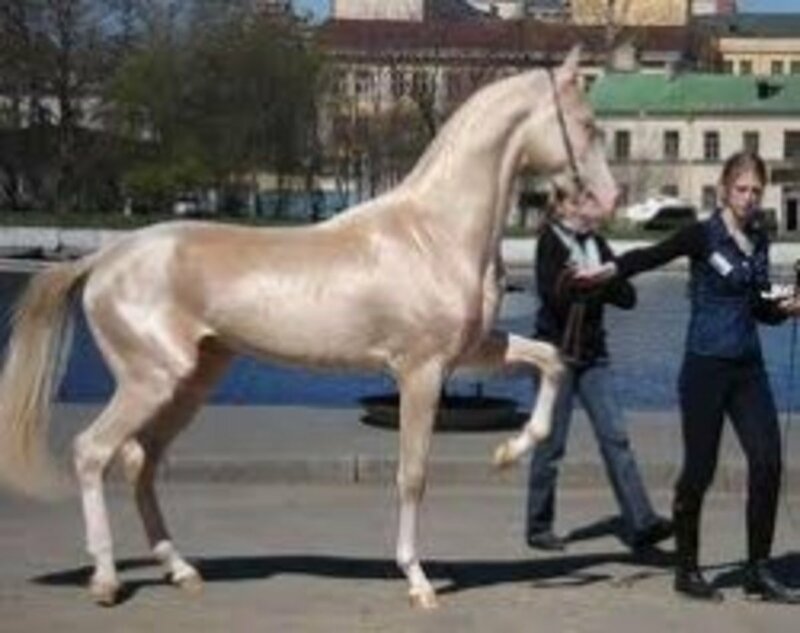 The breed was first developed in Slovenia, in Central Europe, from Berber horses and from Spanish Arabians. They got their name from the city of Lipica, which is “Lipizza” in Italian. At the time, the Hapsburg, who ruled both Austria and Spain, needed a specific type of horse – one that could function efficiently in battle yet be elegant enough to be a part of the riding schools. These schools were very fashionable among the aristocracy and ruling class of the 1500s, and the requirements for a proper horse were extremely rigorous. Archduke Charles II was integral in the breed’s development. He brought Andalusian stallions from Spain to Lipica in order to breed with mares of Karst blood. Later, Boroque and Neopolitan blood was added to the mix. What's really fascinating about all the movements the Lipizzaner stallions perform is that they weren't just for show - they were important battle strategies. they were used to overrun foot soldiers and to clear a path for their rider if he was surrounded by the foe. How could something so incredibly beautiful be borne of war? The most famous of the riding schools was the Spanish Riding School of Vienna, where only the best of the best were allowed, especially after the early 1900s. Having a sterling pedigree was no longer enough. The school bred only mares and stallions that had been successful in top level performances. The resulting offspring not only carried a valuable pedigree; they also had the true makings of greatness in the arena. All this careful breeding is evident today. The modern Lipizzan is beautiful, with large, expressive eyes and small ears. The horse’s facial profile is either straight or slightly convex, and the head is long. The nostrils are large, especially when flared. The elegant arched neck is muscular, and should be of medium length. Lipizzans stand between 15 and 16 hands tall, and their body is compact, with a deep, wide chest. The shoulder should be long and sloping, and the withers should be low. The legs should appear powerful and have good bone. The horse’s forearm should be straight and have dense muscling. The croup and hip should also be muscular. A Lipizzan’s back should be straight and have short, powerful loins, and the tail should be set high. A Lipizzan’s feet should be relatively small in proportion to its body. The horse should be the picture of balance and power and exhibit high movement in various gaits. The Lipizzan is a very hardy breed and often enjoys a long, healthy life. A Lipizzan should have a wonderful temperament. It should be gentle and easy going, with a willing disposition. Lipizzans are very intelligent and adapt easily to training. They love humans and often form powerful bonds with their handlers. Because Lipizzans are somewhat slow to mature physically, formal training usually does not begin until the animal has reached the age of four years. If you ever get the chance to see these incredible animals perform, make plans to do so. It’s a real thrill for any horse lover, but even non-horse lovers will in awe of the Lippizan’s beauty and athleticism. One of the famous Lipizzaner stallions. I have visited their home in Lippica and had the pleasure of watching them perform in Londoon. So beautiful and disciplined! Ah, the horses were used in battle, but the moves you see in performances were not. They were just used to prepare for it, if that makes sense? Interesting! When I attended the performance, the announcer said the horses were used IN battle. What you say makes sense, though! The moves taught by the Lipizzans were to prepare the horse's bodies for the strain of war, and to teach it to obey the rider's every command. 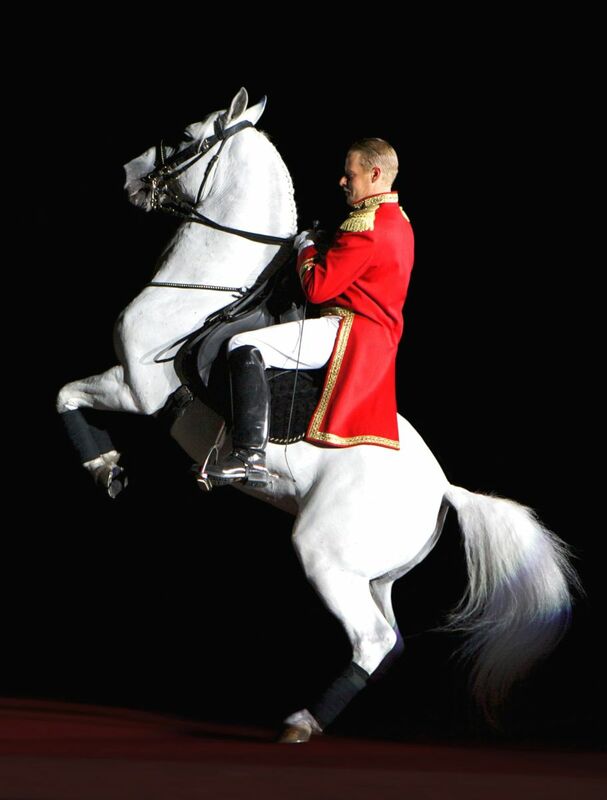 Most of the moves performed by the Lipizzans would unbalance the armoured rider and expose the unarmoured underbelly of the horse. Thus they were not actually used IN battle, but to prepare for it. Carol, if you get a chance to see them, do so! They're magnificent steeds! What amazing horses. I've never seen a Lipizzan. Great videos! Indeed, you did, RD. Serves you right for referring to them as "nags"! Lucky you, David, to have seen them TWICE!! Good to see you! 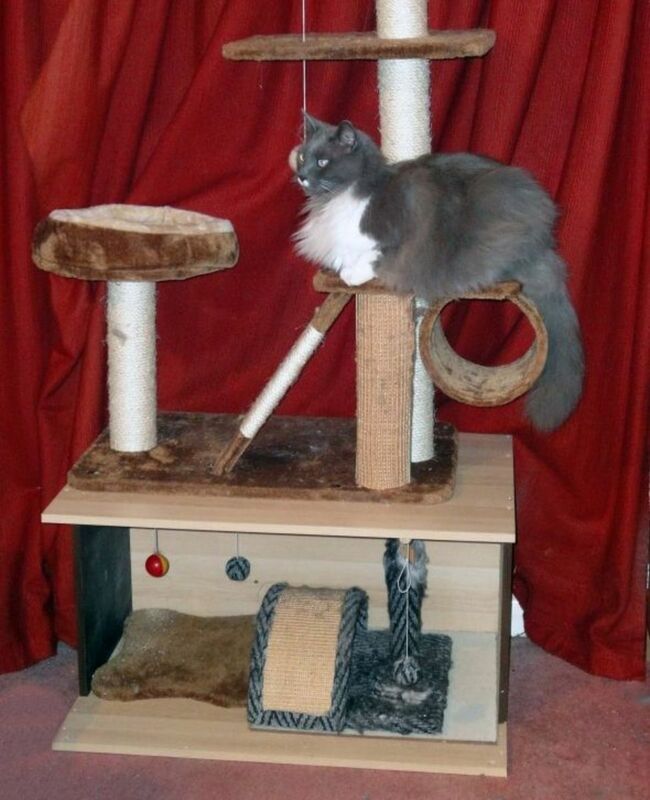 Audrey, they defy gravity! How can they do all that with a rider aboard? You're welcome, Ehern. Thanks for reading and commenting! Thanks, Maita, for stopping by! Didn't I miss a trivia question about these nags one time? Ann, I collected Breyer's horses, too! You're welcome, Laurel. Thank you for reading! I saw them years and years ago and oh my gosh - I was speechless - I love horses anyway but these were not just horses - these were MAGNIFICENT! Thanks for bringing that back for me this morning. Words are never enough to praise these beautiful horses. I don't mean it offensive to you. Your hub was great. I am glad you saw them. It is an experience of a lifetime. These are indeed incredible horses. The traning involved does boggle the mind. Credit must be given to both horse and trainer to accomplish such beautiful moves. They are wonderful to watch. Thanks for writing bout them and the videos. Great hub habee! I used to collect plastic horses, like from Breyer, and my favorite one was the Lipizzaner one. Then I started babysitting and let the children play with them. And as always the girls loved them! Thanks for such a fascinating ride!